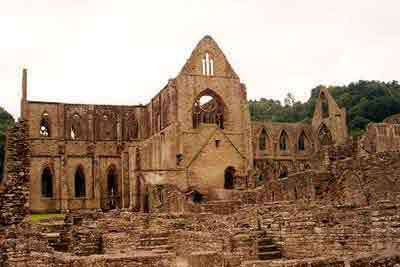 Tintern Abbey was founded in 1131 by Walter fitz Richard of Clare, the Norman Lord of Chepstow. 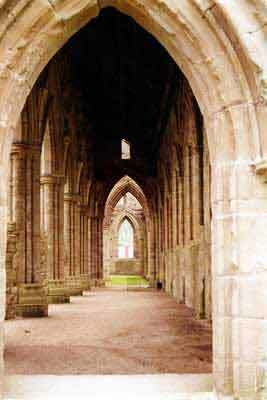 It survived as a working abbey until the Dissolution of the Monasteries by King Henry VIII. 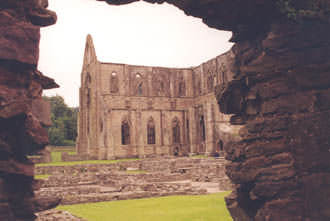 It is located in southeastern Wales, not far from the town of Chepstow. 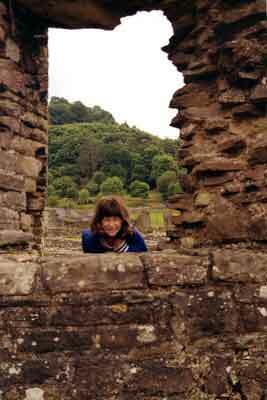 Our eldest daughter , Madeline, six years old at that time, peers through a window.